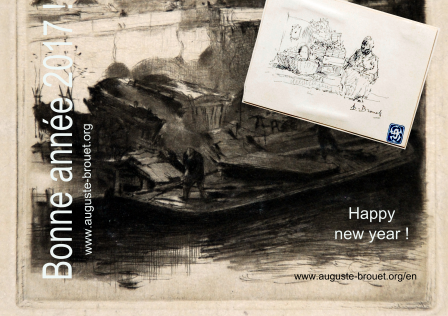 A compound of Brouet artwork, passed down over roughly a century by a series of Brouet enthusiasts, starting with the most prominent of them, Georges Grignard himself... I personnally thank them all! Let me thank also all who have visited this website in the past years, be it for a brief survey or a more in depth exploration. Happy new year to him! I have also included two reference pages, one with some reference journal articles on Brouet with full text, and the other one with web sites devoted to other more or less forgotten but interesting artists of the period. Hum, all in French again, I'm afraid.